Katagman Festival has an interesting cultural theme. Experience the excitement, magic and art behind the golden mask. The festival is aimed at recognizing the historical significance of this mask to the community which has been fading in the past years. 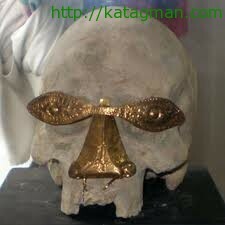 In its cultural presentation, the golden mask is an important emblem. It is also important to its local culture. The celebration recognizes it and is hailed as a tool to help unify Oton by preserving its past and looking forward to its future. Organizers of the week-long celebration hope to prove that their festival can help bind their population; fighting to maintain Oton’s culture no matter what the current political situation might be. And that they are doing this because culture helps a community to live and it brings national unity. Be enthralled by the different tribes performing their superb adaptation of the history of Oton. The Musical, Dance and Theater performances of the different groups provides a not-to-miss opportunity to explore history of the town known as the first pueblo and seat of Christianity in Western Visayas. 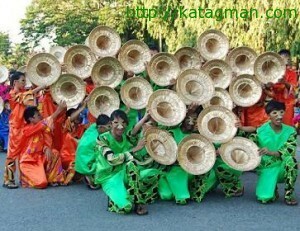 What makes Katagman Festival of Oton so much fun for visitors and residents? Well, it is easy to find, Oton is 10.2 kilometers or a 30-minute jeepney ride from downtown Iloilo. It is the first town (2nd Class) in the southern part of the province and is blessed with beautiful beaches and resorts that provide basic and modern amenities from simple cottages to swimming pools. In Oton, there is always good food. The town is known for its mouth-watering talaba (oyster) and fresh seafoods served in restaurants such as Nes and Tat’s, Allan’s Talabahan and Anhawan Resort. It also has the best buco pie in Iloilo, the Nang Palang’s Buco Pie in Barangay Trapiche. Well-known for its watermelons, oton has also eaned the title as the “Sandiya Capital of the Visayas” for producing the sweetest and the most abundant watermelon in the region. The annual SANDIYA Festival is a celebration of harvest that features arts and crafts show and food vendors held every first week of December. There is shopping for local souvenir items and are varied and reasonable. Its trade establishments and micro enterprises continue to produce diverse arts and crafts that have grown from local manufacturers to world-class exporters of quality products. Most notable are the multi-colored cacao leaf lampshades and home decors of BOYEL Marketing owned by Elsa Chavez and family and the hablon products of Mrs. Ana Cordova in Barangay Cagbang. There is entertainment and activities for everyone. Experience the very best in historic Oton through its week-long festivity in a packed and diverse program, all fun for the entire family. The event begins with an Exhibition on Ogtong History and Culture at the SB Session Hall alongside the Unveiling of the Replica of the Golden Mask at the town Plaza; Opening of Agri-Fair, Garden Show and Plant Sale at the Municipal Hall and the Search for Ginoong Erpat and Ginang Ermat at the Municipal Plaza; the Search for Oton Foundation Queen and the Opening of Food Festival; the Porma Baras and Motorboat Race at the Poblacion South alongside the Oton Mountain Bike Race at the town plaza; Bomborador, On-the-Spot-Painting; and the much-anticipated Street Dancing and the Musical, Dance and Theater Competition.